Digital Audio Processor, Delay / Echo Reverberation Generator and Preamplifier Board Comb. 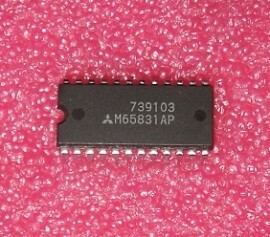 Filter with 44Kb internal memory. Denon Pioneer Samsung Sony Cross Reference: 875905313 M65831AFP M65831AP M65831FP M65831P M65831P730.